Jim Hines, born in Dumas, Desha County, Arkansas, raised in Oakland, California, where he excelled in athletics at McClymonds High School, is an Olympic track and field star who won gold medals at the 1968 Olympics in the 100-meter dash and the 4x100-meter relay, as well as establishing world records for both. His record for the 100 meters stood for fifteen years. James Ray (Jim) Hines was born on September 10, 1946, in Dumas, the ninth of twelve children of Charlie Hines and Minnie West Hines. In 1952, the family moved to Oakland, California, where his father worked in construction and mother in a cannery. 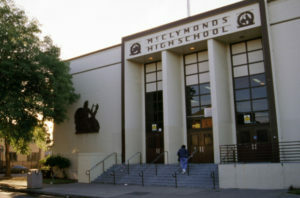 As a center fielder on the Lowell Junior High School baseball team, he caught the eye of the McClymonds High School track coach, who asked Hines to join the track team. 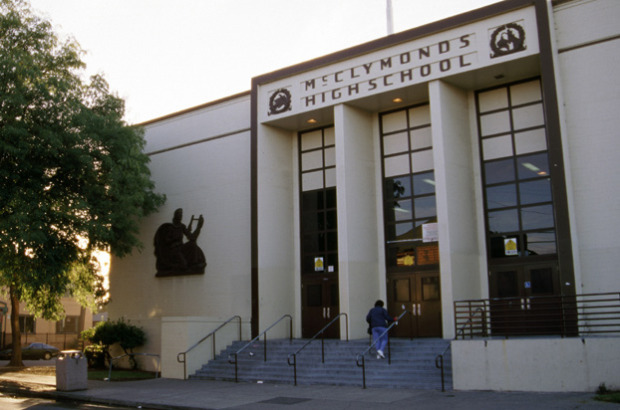 At McClymonds, he specialized in the 100- and 220-yard dashes. Undefeated throughout his entire high school career in both distances, Hines clocked 9.7 seconds in the 100 as a sophomore, and improved to 9.4 as a senior, to earn a share of the national high school record. He graduated from high school in 1964 ranked as the nation’s top high school sprinter. Hines enrolled at Texas Southern University, a historically African-American university in Houston, Texas, on an athletic scholarship. Coached by Bobby Joe Morrow, the 1956 Olympic champion in the 100 and 200 meters, he developed into one of the nation’s top sprinters. 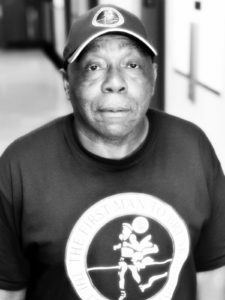 After a second-place finish in the 220-yard dash at the Amateur Athletic Union (AAU) national championships in 1965, Hines won the AAU 220 the following year. 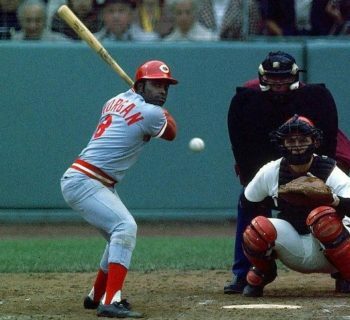 In 1966, he finished second to Charlie Greene, a fellow Arkansas native representing the University of Nebraska, in the AAU 100-yard dash but defeated Greene in the AAU 100 the following year. In 1967, Hines equaled both the world records of 9.1 for 100 yards and 10.0 for 100 meters and won the 100-yard dash at the National Association of Intercollegiate Athletics (NAIA) Championships. That year, he also defended the AAU 100 title and finished second in the 220 to Tommie Smith. In 1967, Track and Field News ranked Hines first in the world in the 100 yards/meters and second in the 200-meter/220-yard dash. 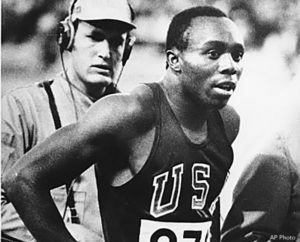 The 1968 Olympic trials provided Hines with the opportunity to avenge his loss to Greene in the AAU national championships. In the second qualifying heat, Hines succumbed to Greene, 10.30 to 10.31, as both runners qualified for the next round of quarterfinals. Hines won his quarterfinal and semifinal races, as did Greene, setting up a rematch of their AAU championship race. This time, however, Hines triumphed in the final, with Greene in second place. At the 1968 Olympic Games in Mexico City, Mexico, Hines again prevailed over Greene in the 100 meters. After Greene equaled the Olympic record of 10.0 in his semifinal race, Hines matched the Olympic record as well as winning his semifinal heat. In the final, he won the gold medal in 9.95 seconds, the first legal, automatic electronically timed 100 meters in less than ten seconds. 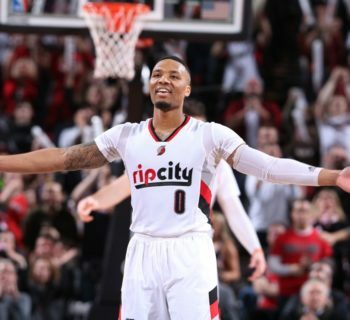 As for the world record, however, the time was listed as 9.9, thereby equaling the world record he had established earlier that year. Greene, hobbled by a hamstring injury, garnered the bronze medal in third place, behind Jamaican silver medalist Lennox Miller. In the 4x100-meter relay, Hines joined Greene, Mel Pender, and Ronnie Ray Smith to win the gold medal in the world record time of 38.2 (38.24). 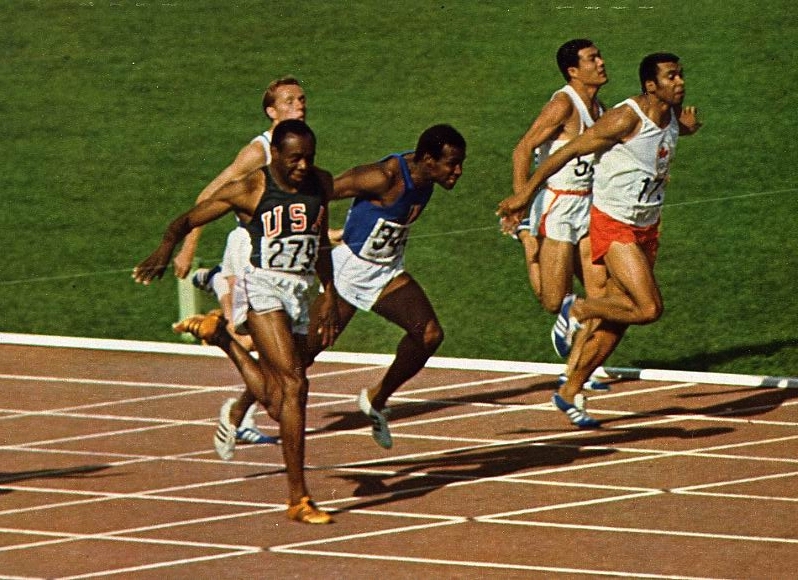 The 1968 Olympic Games concluded a rivalry between Hines and Greene dating back to 1966, in which Greene had defeated Hines in ten of fifteen meetings in the 100 meters/yards. 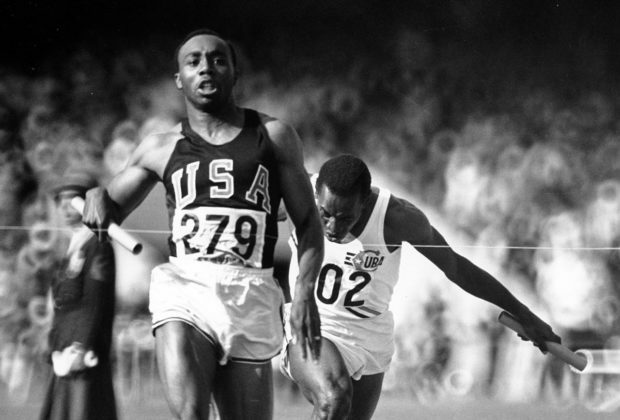 Despite Greene’s prowess, Hines would be the one best remembered for his historic Olympic performance. After the Olympic Games, Hines signed a professional football contract with the Miami Dolphins of what was then the American Football League. As a wide receiver, he made two receptions for twenty-three yards, returned one kick-off for twenty-two yards, and rushed for seven yards. Hines finished his professional football career in 1970 with the Kansas City Chiefs, for whom he played one game. In 1974, he competed in several meets on the professional International Track Association (ITA) circuit. By the end of 1976, Hines was one of nine men who shared the world record of 9.9 seconds in the 100 meters. In 1977, the International Amateur Athletic Federation (IAAF), track and field’s governing organization, ruled that world records for the 100 through 400 meters must be automatically electronically timed to 100th of a second. Since Hines had the fastest automatic electronic time, 9.95, he became the sole world-record holder. He held the world record until 1983, when Calvin Smith clocked 9.93 in Colorado Springs, Colorado. The time remained the Olympic record until 1988, when Carl Lewis posted 9.92 at the Olympic Games in Seoul, South Korea. 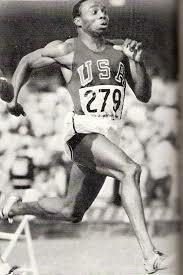 Hines continued to run competitively into his thirties, posting 10.9 for 100 meters at the age of thirty-seven in 1984. He was inducted into the USA Track and Field Hall of Fame in 1979, the Texas Sports Hall of Fame in 1994, and the Oakland Athletic Hall of Fame in 2013. 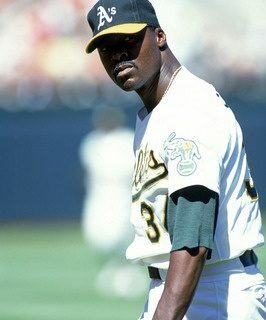 After retiring from sports, Hines established a foundation in his name for battered women, abused children, and the homeless in Oakland.